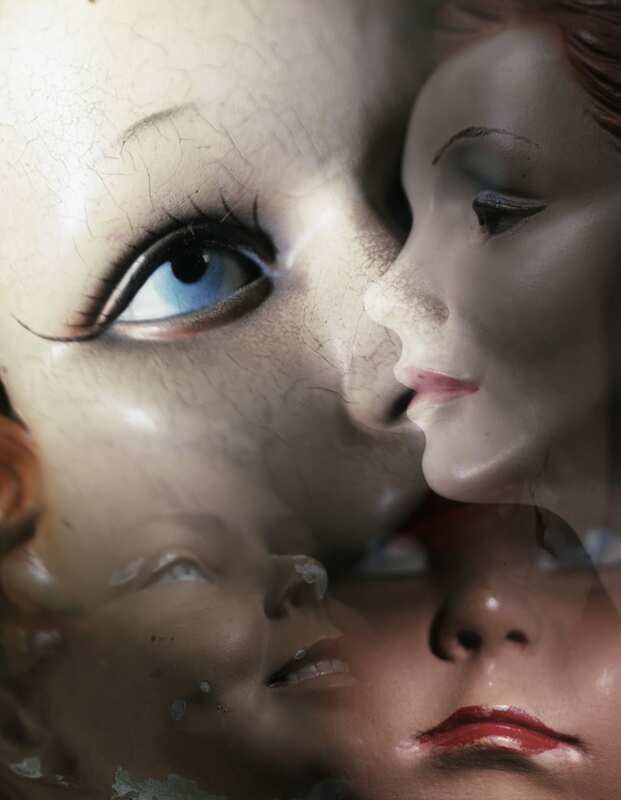 A series old mannequin faces from the fifties and sixties photographed separately combined together on one piece of 4×5 film. This was a passion of mine, making multiple images layered on one sheet of film. This entry was posted in Still Live.